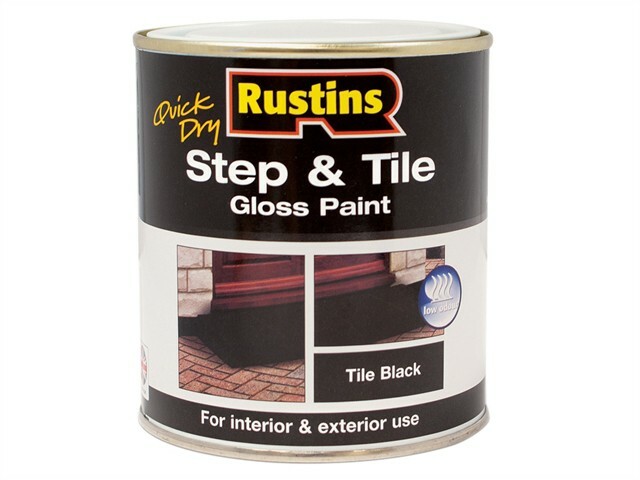 Rustins Quick Dry Step & Tile Paint is a high-performance interior and exterior gloss paint for tiles, concrete and bricks. It is quick drying, hard-wearing and weather-resistant. Not recommended for use on glazed or quarry tiles. To apply, use a good quality brush. 2 coats are usually sufficient. Sand lightly between coats if needed. Do not apply outdoors if rain is imminent, and do not use below 10°C.